So you're looking for a portable garage to erect on your property. It needs to go up quickly, be durable and secure with an attractive appearance. American Steel Span has the portable garage for you. 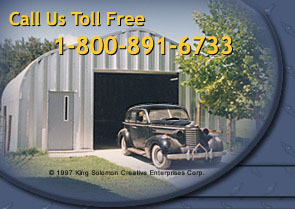 Portable garages are available in a wide variety of sizes and now have colored endwalls and roof/sidewall panels. You can chose from four different models and the portable garage shelters that are manufactured by American Steel Span are the best in the industry. A portable garage is versatile and functions exceptionally well as a workshop or makes an excellent place to store valuable recreational vehicles. American Steel Span’s portable garages carry a 25 year warranty that is backed by the steel mills and have many features that ensure a long maintenance-free lifetime.